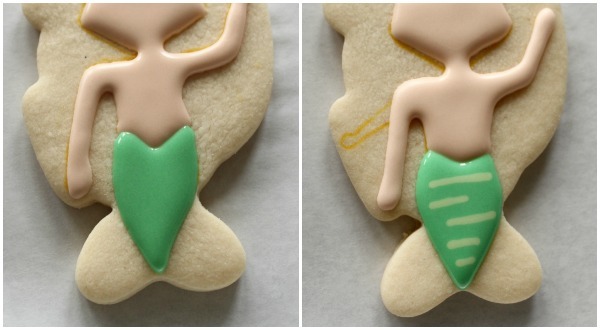 Instead of “Simple Mermaid Cookies”, I’m calling these “Relatively Simple Mermaid Cookies”. 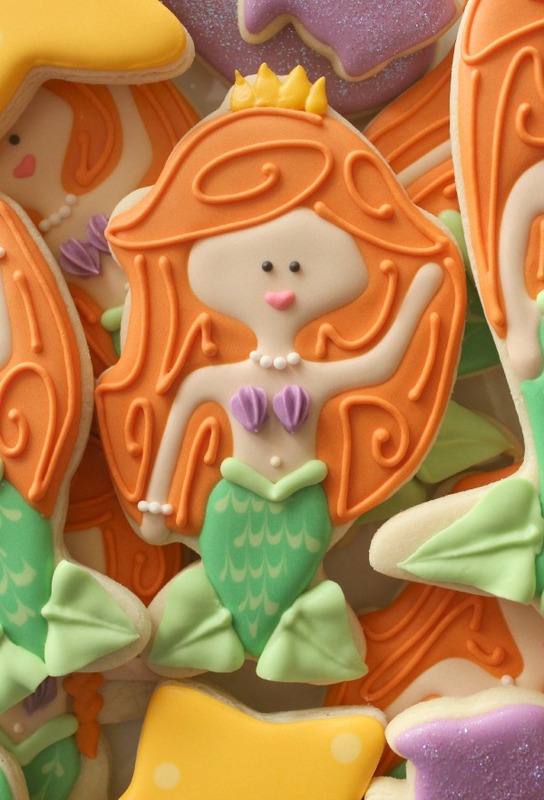 Truth is, there’s nothing simple about mermaid cookies. 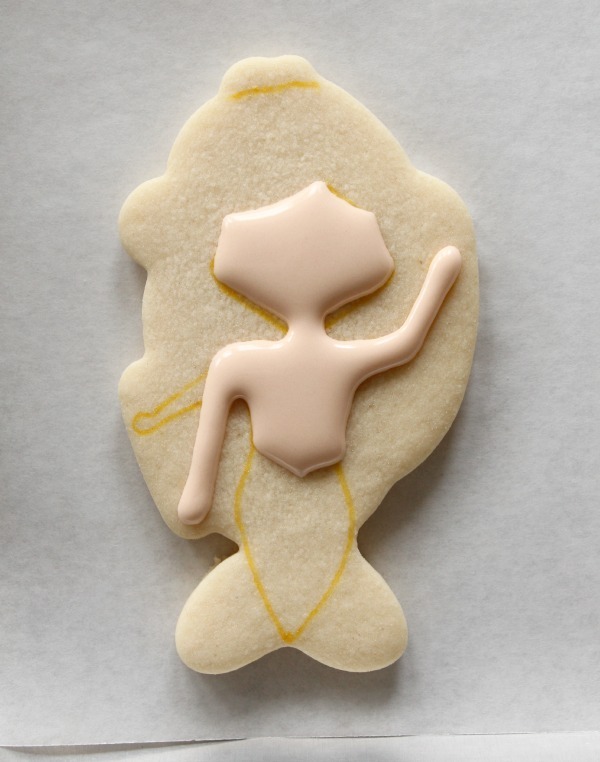 In fact, this is probably more of an intermediate cookie, but if you’re going to decorate mermaids…this is about as simple as it gets. Since I’m not really into hand-cutting, I used a cutter from my collection. This fish is from the Betty Crocker 101 Piece Set. If you don’t have this particular fish cutter, this one is very similar. 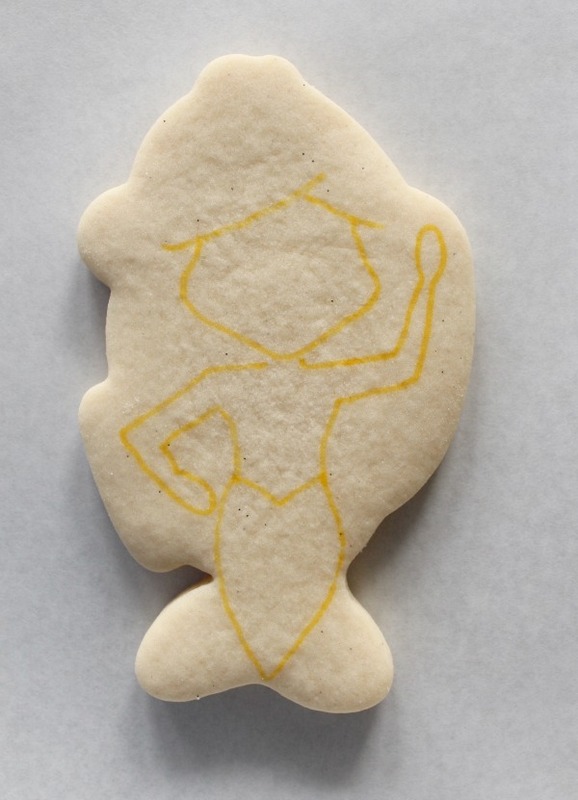 Like most of my cookies, this one began as a sketch. 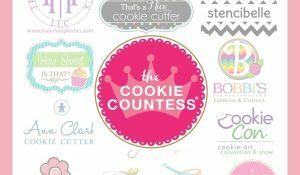 Sketching cookie designs beforehand is the first, best step to great cookie designs because it helps you to avoid mistakes and miscalculations before they happen. It’s kind of like studying for a test. Most people do better when they come prepared. Before decorating, transfer the pencil sketch with a food safe marker. If you have a Kopykake, skip all that and pop the sketch into your projector. Begin by flooding the top portion of the mermaid as shown below. I used very thick 20-second icing to give the flesh-colored portion a little more bod,y while avoiding craters. As you can see, I changed the design a bit from the original sketch. This is no big deal. 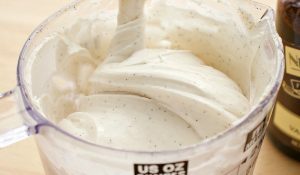 Sometimes it’s hard to see the possibilities until you’re working on an actual cookie. Let the first step dry for about fifteen minutes before moving on. 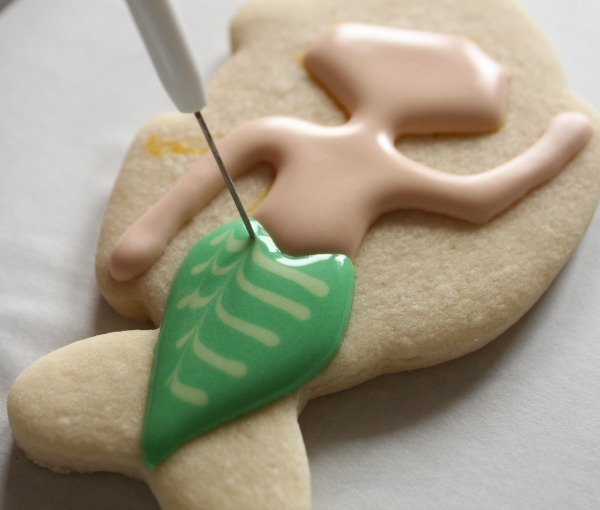 Use 20-second icing to fill the tail, then immediately add lines of lighter green icing. Quickly move on to the next step. Drag a needle tool upward through the lines to create scales. This idea will work for almost any shape fish or whale cutter. Each of these cutters produce a very nice mermaid. It’s hard to pick a fave, but I think it is probably the one made with my trusty snowman, of course! If you don’t own a whale cutter you can pick one up here. I like this one best. I kinda like them all!! Love the symmetry of the middle one, but really love the most right one too…great work! Ooooooooooooh my goodness!!! Cuteness overload!! These are so awesome! Hahaha, that made me giggle…relatively simple! (I saw the FB discussion!) Hilarious. I love mermaids, and did my daughters bathroom in the theme, I thought I was so clever. Little did I know those ocean nymphs scared her! 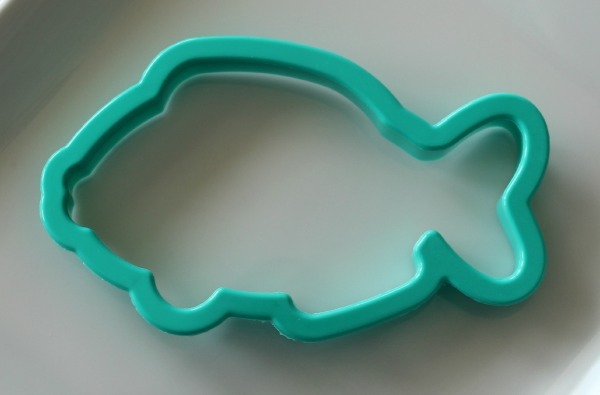 I love when you repurpose a cutter….someday I will channel this gift! 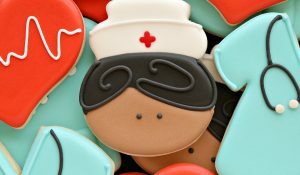 Besides their cookies are wonderful!!! Also, I’ve been going crazy since I saw this post b/c my cutters are boxed up and I want to start sketching!! lol. 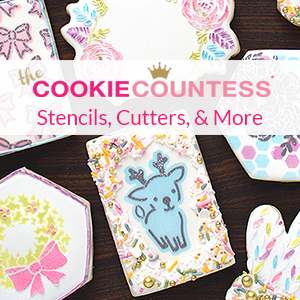 Even though you’re making me miss cookies big-time, keep these awesome ideas comin! Beautiful work Caylle! I love what you did with all the different cutters. Oh my goodness you’ve done it again! I love your creative use of cutters! I haven’t never see so beautiful mermaid!!!!!! Thank you for this beautiful creation. Once again, you never cease to amaze me. Absolutely beautiful. I LOVE her!! And with a fish cutter? You are amazing!! Brilliant!!! My faves are the fish cutter (which I have yet to use) and the whale cutter C. Love!!! Love your details, the shell bra, the leaf tip fins, etc. SO creative! 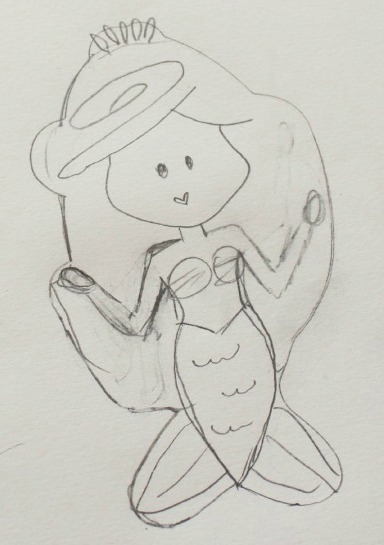 Love this mermaid and her teeny tiny sea shell top! It is one of the few joys of living in the ugly desert, lol! Sheesh, mermaids galore, and they’re all amazing! From the get-go, I need some help in the sketch department…maybe that’s the problem. Haha! These are so much fun!!! I love the simplified characters. Why kill ourselves trying to make the eyes like a Disney character. I learned my lesson when I tried to make Buzz Lightyear (epic fail!). Seriously so cute. 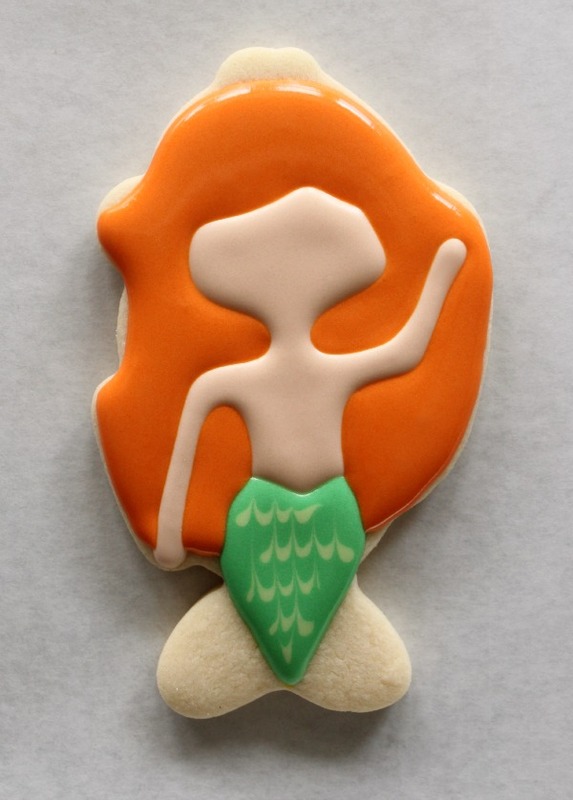 I wish I had a reason to make some mermaid cookies! OMG too cute! my 4-year old daughter would LOVE this! 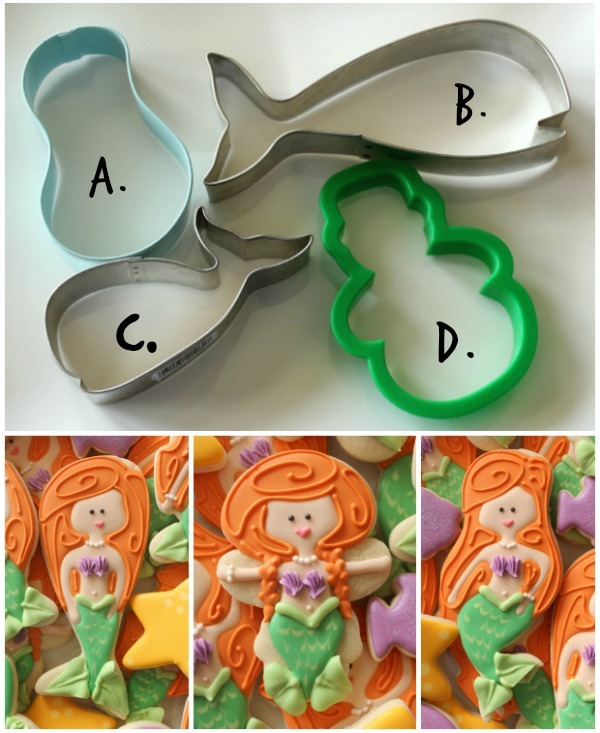 i love the way you are so creative with using cookie cutters for different things! These are just adorable! 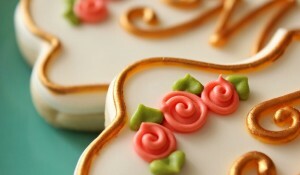 You are so creative and have a wonderful talent to transform cookies into works of art!